A baby is born and the world rejoices! With a loving mama, a trumpeting herd, curious cousins, and even some dancing peacocks heralding this little one’s arrival, it is apparent that the joy and wonder a new baby brings is shared by all! Varsha Bajaj’s lilting prose and Eliza Wheeler’s enchanting scenes of a wide-eyed baby elephant and its smitten family celebrate the importance of family and community in every child’s life. Set in the lush wilds of India, this is an endearing, beautifully illustrated tribute to little ones getting their first warm welcome to the world. A collection of short poems that capture the thoughts and feelings of young animals as their mothers try to wake them up. A photographic book for when your little one says: I don't want to take a bath! Entice your reluctant bather to the tub with this irresistible book of adorable animal photographs! Each one of these cute creatures--from a muddy piglet ("I'm not that dirty, am I?") to a resistant raccoon--says no to bathing. But there's no way around it; they must get squeaky clean. By the end, everyone concludes that baths aren't so bad after all! Can a kitten and a parrot be friends? Meet some cute—and unlikely—animal pals! Friends come in all diferent shapes, sizes, and colors, and these animals are learning to befriend creatures that don’t quite look like them. With adorable photographs and clever, humorous text, this book helps children learn to embrace diversity. Celebrates the love between parents and children of every species. In lilting rhyme, the book introduces toddlers to an array of super-adorable animal parents and babies--including cows, horses, sheep, cats, owls, ducks, roosters, and, of course humans. What do they all say to each other? I LOVE YOU! This is the perfect read-aloud and goodnight story. When Mrs. Seahorse lays her eggs, she does it on Mr. Seahorse’s belly! She knows he will take good care of them. While he swims waiting for the eggs to hatch, he meets other underwater fathers caring for their babies. Now Eric Carle’s heart-warming New York Times bestseller is finally available in a board book edition, complete with the clear “peek-a-boo” pages that made the original such a hit. Brimming with bright, colorful sea life, this new board book will be irresistable to young children everywhere. Great for fans of the Little Bear series, this collection of four sweet stories of friendship and discovery makes a perfect new baby gift. This collection of simple, short, and irresistibly sweet stories about Baby Bear finding things--and figuring out what to do with them--includes "Baby Bear Finds a Book," "Baby Bear Finds a Flower," "Baby Bear Finds a Baby Bird," and "Baby Bear Finds a Friend." Charmingly written and illustrated by celebrated artist David McPhail, the impeccably classic feel of the text and art will take readers back to Sendak's Little Bear and Lobel's Frog and Toad books. Get to know a whole new herd of zoo babies in this darling picture book about colors and patterns from the creators of ZooBorns.com. Calling all animal enthusiasts! It’s time to learn about colors and patterns with a crew of irresistible zoo babies. Featuring adorable animal photos, zippy text, and a fact-filled glossary, this just might be the cutest concept book ever to hit the shelves! 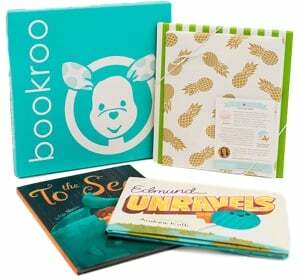 Cozy up with this cuddly Level 1 Ready-to-Read about baby zoo animals that’s perfect for emerging readers! What do koala bears, panda bears, sea otters, snow leopards, and people have in common? They all love to snuggle! Nestle up with your little ones and the ZooBorn babies in this sweet Level 1 Ready-to-Read that’s perfect for even the youngest animal lover! Meet a menagerie of the animal kingdom's most adorable and beloved creatures - babies! Award-winning illustrator Charles Fuge pairs unlikely baby animal friends-big, small, slimy, and furry-to show what makes our favorite stars of the natural world unique. Along with vibrant illustrations, Fuge presents silly, funny, laugh-out-loud rhymes to stir a child's fascination with animals. Learn what makes each amazing animal baby unique and what they all have in common. This enchanting picture book is guaranteed to delight children of all ages. Love isn’t just for the cute, the sweet, and the cuddly. Whether you’re awkward as a baby ostrich, prickly as a tiny hedgehog, or drool like a puppy pug, someone loves you no matter what! This new story from the team that created Next To You features an irresistible array of adorably stinky, grouchy, burpy, and warty animals to drive the point home. When it comes to new babies, friends, or other loved ones, we should remind them of just how darling they are. But are they cuter than a piglet in a sweater? A basket of baby chicks? An elephant calf taking a bath? Of course! Sweet, funny, irreverent, but above all, cute, this keepsake-size book is perfect for both gift-giving and cuddly story times. "The heart-tugging true story of how YouTube star Ninita—a deaf, orphaned pygmy marmoset (the smallest type of monkey)—found family, friendship, and a forever home! Illustrated in full color. Ninita is the only known deaf pygmy marmoset in the world, but that doesn't stop her from making friends and chasing her next adventure! Abandoned by her parents and rescued by the RSCF, this tiny, curious monkey loves exploring her habitat. And when she meets Mr. Big—another pygmy marmoset—she has finally found a friend who likes to eat, climb, and play as much as she does. A YouTube celebrity, Ninita's videos have been viewed nearly 2 million times! " When a family brings home chicks from a local farm, they must do everything they can to make sure their feathered friends thrive in their new environment. With the help of their knowledgeable parents, the children provide the baby chicks with food, water, warmth, and proper shelter. Young readers will chirp along happily page after page, learning to read as they watch the fuzzy little chicks grow into downy adult chickens, who will eventually lay eggs of their own! Muddle is a little confused - is best friend Mo, a duck or a goat? Is Muddle a duck or a goat? Fortunately Mo helps him work everything out. A gentle book about friendship and accepting differences. Beloved Muddle & Mo are back! It is a day for ducks, a lovely wet rainy day. But Mo hates the rain... or does he? Muddle shows Mo that sometimes it can be fun to try something new. Muddle is planning an extra-special picnic for best friend Mo. Muddle loves worms. Mo does not. Will Mo like Muddle's worm surprise picnic? A poetic text and wonderfully intimate photographs follow a newborn sandhill crane as it takes its first steps into the world. Will my legs hold me? What if I fall? Peek in as a sandhill crane hatchling makes its first wobbly stand and takes its first steps alongside its brother. With their parents close by, they flap their wings and dance before enjoying a buggy treat. Someday they will fly with the majestic cranes overhead, but for now, Mama's soft feathers beckon. With a lyrical narrative and lovely photo illustrations, this latest venture from an acclaimed creative team makes a perfect new baby gift -- and will appeal to bird lovers, too. Debut picture book author Cheryl B. Klein and Caldecott Honor winner Tomie dePaola sweetly capture a baby bird’s journey to first flight. Wings! Clings. Flings… With a cleverly simple rhyme and playful, vibrant artwork, Cheryl B. Klein and Tomie dePaola lovingly paint the picture of a baby bird’s first flight—overcoming stings and dings along the way to soar triumphantly. As informative as it is lovely, Homes in the Wild is an adorable nonfiction picture book from author/illustrator Lita Judge that shows that wild creatures—from beavers to bobcats, and sloths to squirrels—aren't so different from us after all. Just like us, every baby animal has a home. Some live in complex burrows deep underground, others in simple nests high in the treetops. But all homes, regardless of where they are or how they're built, serve the same purpose: providing shelter where a baby can eat, sleep, learn, and stay safe while growing up. Animal lovers will delight in this gorgeously illustrated peek inside the homes—from burrows deep underground to nests high in the trees—where baby animals live and grow. Solve a problem with Puppy and a bag full of blocks! Robie H. Harris and Chris Chatterton team up for another gentle introduction to early math concepts. Puppy wants to build a bed out of blocks, one that is wide enough and long enough for a snooze. But there aren't enough rectangles, squares, and triangles. NOW WHAT? Build, measure, count, compare! Follow along as Puppy tries again and again and again and finally figures out how blocks of different shapes and sizes can fit together to build a bed that's just the right size for a nap. Discover the delights of nature with zoologist, poet, and top children's book author, Nicola Davies. Follow the young adventurer as she explores eggs of all shapes and sizes, where they may be hiding and what secrets could be held within. The easy rhymes encourage children to join in. With zoologically accurate, bright, and exciting illustrations by Abbie Cameron, this book explores the huge variety of animal and insect eggs and is one in a series of rhyming picture books which entertain and educate on a wide range of animals. Have a suggestion for a book to add to this list? Send an email to books[email protected] with your book and list suggestion.